Sales | R.J. Kates Co. 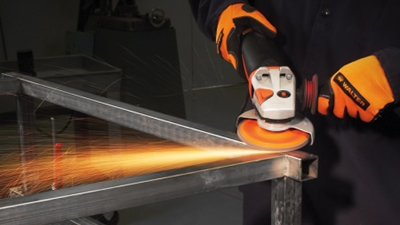 Almost every metal and cutting work will need abrasive disks and chemical tools to finish the job. R. J. Kates represents manufacturers of a variety of abrasive tools including but not limited to bonded abrasives, coated abrasives, non-woven abrasives, carbide burs, wire brushes, diamond abrasives and accessories. The products include the SURFOX weld cleaning system which removes weld discoloration while passivating the work surface without the use of dangerous pickling paste. Torches and consumables are a critical part of any cutting system. Using genuine Hypertherm torches and consumables for your Hypertherm plasma cutting system is the only way to ensure optimal performance. Hypertherm’s torches and consumables have the latest performance-enhancing technologies and are machined to the highest quality standards. 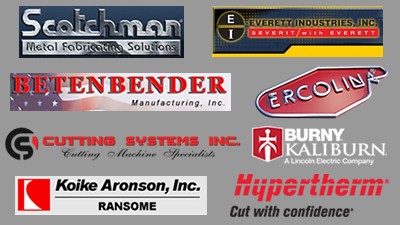 Our company is the manufacturer’s representative for West Central Industrial, Inc.
We sell cold saws, band saws, benders for tube, pipe and shaping, cutting and welding equipment, hydraulic shears and press brakes, abrasive cut-off saws and wheels, and much more. Visit our Sales – New Equipment page for a list of the manufacturers and some of their products that we represent. Please contact sales@rcitech.net or (858) 565-6960 for more information on products, order process, and pricing. In addition to new equipment sales, we offer used equipment that has been professionally refurbished. 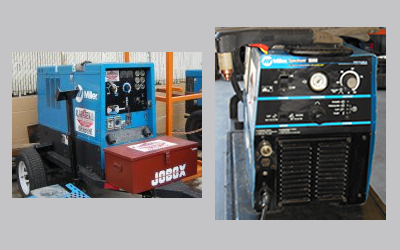 For a complete list of available used equipment, please visit our Sales – Used Equipmentpage. If you have any questions concerning or available used equipment sales, please contact Don Petersen or Josh Kates at (858) 565-6960.